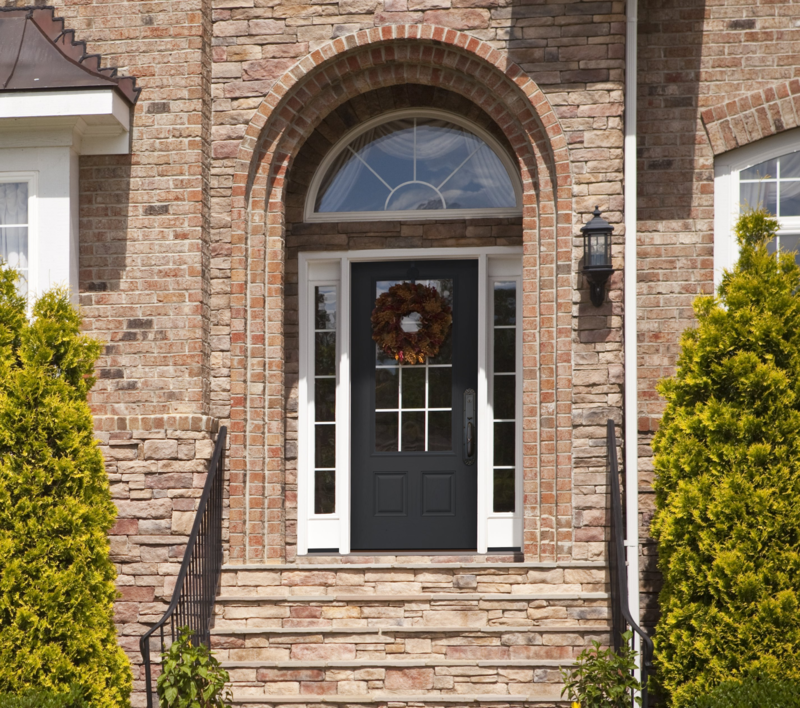 Having professionally installed doors is a great way to start adding some curb appeal to your home. But where do you start? Do you go with something timeless or trendy? Do you want your door to stand out or blend in? Below we’ve provided some tips for choosing the right entry door Pittsburgh. The overall look of your doors can go a long way when communicating your style. Depending on how well your door style matches the home, you can install doors that last generations. The front door is the entryway to your home and is often the first thing that people notice about it. So making a strong, or smart, impression here is key. You want to pick a door that first matches the home in its level of intricacy. Doors that overstate or understate the complexity of the home’s design will look out of place, especially at first glance. Consider your home’s architectural style, the shape of windows, etc when deciding on an entry door Pittsburgh that will blend seamlessly with your home’s aesthetics. Don’t pick your doors based on what others may think. However, it is important to at least match the overall appearance of the neighborhood in terms of grandeur. The appearance of your home can do one of three things: 1) It can draw more attention than the others, which has its pros and cons. 2) It can draw just as much attention as any other home. 3) It can draw less attention than other homes. It is important to note that your door choices can strongly impact the amount of attention that is drawn to your home. It is important to weigh the consequences of each and determine which of the three categories you would rather fall into. A more stand-out appearance is great in terms of wanting to place a home on the market in the near future, but you may also get more solicitors. You certainly want to make your home feel like your own, so making it fit your needs is what is important. You want your home to be your own and make it unique, but sometimes it’s not a bad idea to use the same type of doors for the exterior of the home. It can be difficult for individuals to determine if something actually belongs, and it may come down to personal opinion in the end. But finding something that looks out of place can be fairly obvious. You want to play on this natural tendency for the human eye to pass over similar objects, by coordinating the exterior appearance of your home. For example, doors that have windows or panes can be easily matched with garage doors with windows, and of the same type and style. What Color and How Much Color? There are homes that have an eye-popping colored door. And while they may be appealing to some, they may not always appeal to a large audience. Color can often match the home and/or housing type. For example, red doors would be perfectly fitting on a barn but might look strange to some when featured prominently on the front of your house with green shutters. It’s important to at least touch on some artistic terminology when it comes to the color selection of your doors and overall appearance of your home. Things that are “monochromatic” will naturally be easier for the human eye to take in and enjoy. Different shades of a single color, or at least within a certain color range, are naturally more appealing than vastly different colors or ranges of colors that adorn the exterior of your home. Color choices on the exterior of the home can also easily be carried into the home if done properly.